Lets face it. Speaking up is hard, especially when it’s something you don’t necessarily want to talk about. 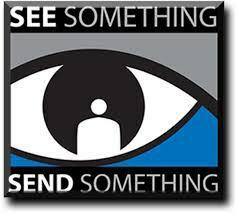 As we encounter different things everyday, however, it is important to report any suspicious activity. Here is an outline of things you may need or questions you may have if you are ever faced with this situation. Eliminate guilt: it’s important to understand that the outcome of your comment could prevent danger. Even if you are not 100% certain that you are right it doesn’t hurt to at least say something if it concerns you. Other people most likely wanted to report the same thing, you were just the one who had the courage to do so. Saying what you know/think is right is better than what your ‘comfort zone’ tells you to say. You will most likely be protected if you say something, so there is no harm in at least speaking up. First, believe in your ideas and have confidence in telling them. Go with a friend or people who also support what you are saying. Think about the outcome of your decision and what is the worst that can happen. Imagine that the people you are talking to are the kindest people. Act like they are already on your side. If you are really not comfortable with speaking to someone about something urgent, you can still email, call a hotline, or report it online. Will your identity be kept a secret? Yes your identity will be kept completely anonymous. However, if the school needs to make it a police report, they will need to provide witness names. As long as you don’t draw attention to the subject and be as secretive as you can, such not screenshotting on snapchat which notifies the person, you will be kept anonymous at school. What ways will you be protected if your afraid to speak up? You are promised that you will be kept anonymous. Students are the 1st line of defense, with teachers (who have the most contact with students) being the 2nd line of defense.